"The O'Reilly Factor" is facing a growing advertiser revolt, as 21 companies have pulled their commercials from the show amid a scandal involving the host, Bill O'Reilly. Mercedes-Benz, Hyundai, BMW of North America, Mitsubishi Motors, Lexus, Constant Contact, Bayer, Ainsworth Pet Nutrition, Orkin, UNTUCKit, Allstate, Esurance (which is owned by Allstate), T. Rowe Price, GlaxoSmithKline, Sanofi, Credit Karma, Wayfair, The Wonderful Company, TrueCar, the Society for Human Resource Management and Coldwell Banker are pulling ads from "The O'Reilly Factor" after a report about five settlements with women who alleged sexual harassment or verbal abuse by O'Reilly. Paul Rittenberg, the executive vice president of advertising sales at Fox News, addressed the exodus in a statement on Tuesday. "We value our partners and are working with them to address their current concerns about the O'Reilly Factor," Rittenberg said. "At this time, the ad buys of those clients have been re-expressed into other FNC programs." The statement indicates that the companies' decisions to withdraw ads from the program have not yet hurt Fox's bottom line -- but the loss of advertisers is at the very least a public relations problem for the network and its most valuable asset. Companies began announcing their decision to pull out of "The O'Reilly Factor" Monday evening. On Tuesday, a trickle of announcements quickly turned into a wave. Hyundai said early Tuesday that it is not currently advertising on "The O'Reilly Factor" but will remove upcoming ads because of the "recent and disturbing allegations." "We will continue to monitor and evaluate the situation as we plan future advertising decisions," the company said. Mercedes-Benz used similar language on Monday when it pulled its own ads. "The allegations are disturbing and, given the importance of women in every aspect of our business, we don't feel this is a good environment in which to advertise our products right now," spokeswoman Donna Boland told CNNMoney. BMW of North America announced Tuesday that it was also suspending its ads on "The O'Reilly Factor." And the investment firm T.Rowe Price said Tuesday afternoon that it had decided to pull its upcoming ads from the program in light of the new allegations. The New York Times reported on Sunday that settlements totaling $13 million had been reached with five women who accused O'Reilly of inappropriate behavior. O'Reilly did not address the Times report on his show Monday night. In a statement over the weekend, Fox News' parent company 21st Century Fox said it "takes matters of workplace behavior very seriously" but stood by O'Reilly. It also said none of the women used a company hotline to report improper behavior. One of the women, Wendy Walsh, told CNN on Monday night that she was not out for money. "I just want a nontoxic work environment for my daughters and their generation," she told Don Lemon. The three car companies that pulled ads from the "Factor" were eventually followed by several others. Ainsworth Pet Nutrition, the parent company of the Rachael Ray-partnered dog food brand Nutrish, said it "removed our advertising from the program because of these recent and disturbing allegations." The clothing company UNTUCKit said in a statement it was pulling its ads from the "O'Reilly Factor," noting that two-thirds of its employees are women. "Moreover, it is important our corporate partners reflect the same principals of inclusivity and equality upon which we have built our brand," the statement said. "In light of the disturbing allegations, we instructed our media buyer this morning to reallocate our ad dollars to other shows effective immediately. We will continue to closely monitor the situation but believe this is the right decision at this time." In announcing that it was suspending its advertising on the "O'Reilly Factor," the insurance giant Allstate said it was "concerned about the issues surrounding the program" and that "inclusivity and support for women" are important company values. Social media users began to pressure other companies to follow suit Tuesday. The car-buying website TrueCar responded to several angry messages on Twitter with assurances that it had instructed its media buyer "to direct our advertising to other programming." Another organization, the Society for Human Resource Management, said on Twitter that it had decided to "cease its advertising on the Fox News Network." Late Tuesday night brought another Twitter announcement, with Coldwell Banker saying it was "disappointed" its ad aired during the "O'Reilly Factor," and that "it wasn't part of our intentional media programming." The real estate company said it also pulled future ads from the show. A spokeswoman for the digital marketing company Constant Contact said it, too, was yanking its ads. "Based on the recent allegations and our strong commitment to inclusion, respect and tolerance in the workplace, we have decided to pull Constant Contact's ads from The O'Reilly Factor," the spokeswoman said, noting that ads could continue to run on the program through Tuesday evening. "While the cancellation request is effective immediately, it may take up to 24 hours to be implemented," she added. Rollins, Inc., which owns the pest control company Orkin, said it will no longer advertise on the program. "Orkin buys its advertising in broad dayparts on networks that reach our target audience. We do not buy specific shows, including the O'Reilly Factor," the company said. "The O'Reilly Factor is in the daypart that we buy on Fox, and we have added that show to our 'Do Not Buy' list in the wake of the current allegations." Similarly, The Wonderful Company, makers of POM juice, said it does not "currently have or plan for ad inventory on this show." Credit Karma said it "will not be advertising" on the program and that it's "asked for our ads to be removed." The consumer healthcare company Sanofi, maker of products such as Gold Bond and ACT mouthwash, said it was also removing its ads from the show. 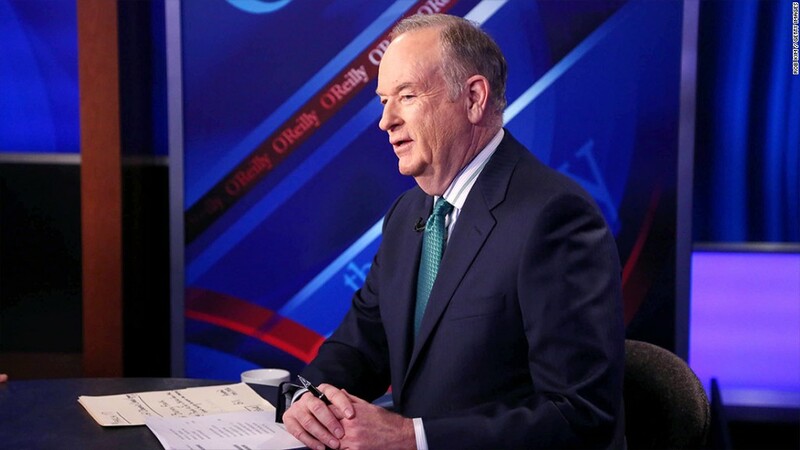 "The controversy around The O'Reilly Factor program and allegations made against Bill O'Reilly are matters that we take seriously and will continue to monitor. We do not endorse the behavior or opinions of program hosts or the content," the Sanofi spokesperson said. "We have reallocated our current advertising originally scheduled during this program. We will continue to monitor and evaluate the situation as we plan future advertising decisions." The German pharmaceutical company Bayer said that it "supports a safe, respectful and non-abusive environment for women and we have reached out to Fox to voice our concerns regarding this matter." "Based on the serious nature of these allegations, we have made the decision to suspend all advertising on the program in question," the Bayer spokesperson said. "This suspension has been requested immediately and will be handled as expeditiously as possible. We have been informed, however, that programming changes may not become effective immediately." The e-commerce company Wayfair said that, due to the Times' report, it has no "future ad buys planned for the show at this time." "We condemn all forms of harassment are closely assessing the situation," a spokeswoman said. "We have advertised on the show in the past and in light of the reports have moved our spots to other programming while we assess the situation." By late Tuesday afternoon, another automaker -- Mitsubishi Motors -- said it decided to pull its ads. "We will continue to monitor this situation as we assess our long-term strategy," the Mitsubishi spokesperson said. After saying the previous day that it would "monitor the situation," Lexus said Tuesday that it had asked its media-buying partners to remove all "ad inventory out of the program." The wave of advertisers that began to abandon the program Tuesday suggests that even more could follow suit. CNNMoney has reached out to more than 20 companies and brands that have advertised on "The O'Reilly Factor," which is coming off its highest-rated quarter in history -- about 4 million viewers a night. "The O'Reilly Factor," reportedly generated $446 million in ad revenue between 2014 and 2016. O'Reilly is also a best-selling author whose books have been adapted for television -- a one-man, multimedia juggernaut and a star asset for the business associates and sponsors in his orbit. One company, the online directory Angie's List, said it has "no plans to change our ad buy." "The advertising strategy we have long used at Angie's List is meant to reach as many people as possible with news that our service exists and is available to them," a spokeswoman for Angie's List said. "We place ads across a wide spectrum of venues intending to reach as many viewers/listeners/ readers as possible without taking a position on the viewpoints of the venues themselves. Just as we trust members to make their own hiring decisions, we trust them to make their own media consumption decisions." A spokesperson for Jenny Craig said that the organization "condemns any and all forms of sexual harassment," but declined to comment further. Other companies said they were looking into the matter. A spokesperson for Fox News did not respond to a request for comment on Tuesday. O'Reilly is a similar draw in publishing, where he has established himself as one of the most successful nonfiction authors in the world. Henry Holt & Company, O'Reilly's publisher, said last year that his "Killing" franchise -- a series of historic blockbusters that examine the deaths or attempted assassinations of various figures from Jesus to JFK -- had sold 14.5 million copies. Reached by CNNMoney, a spokesperson for Henry Holt said the publisher had no comment at this time. Some of the "Killing" books have been adapted into made-for-TV films by National Geographic, which is part of the portfolio of cable channels of Fox News parent 21st Century Fox. National Geographic did not respond to a request for comment. The 2015 adaptation of "Killing Jesus" set a ratings record for National Geographic. "Killing the Rising Sun," the latest installment of the series about the United States' bombing of Hiroshima and Nagasaki -- has been on the New York Times' best seller list for 28 weeks. It's a safe bet that O'Reilly's new book "Old School," a manifesto of sorts on the author's personal beliefs, will crack that list soon. The book contrasts adherents to "traditional values" with "snowflakes," the left-of-center forces O'Reilly believes to be too politically correct and sensitive. At a press conference on Monday, the attorney Lisa Bloom, who is representing one of the accusers featured in the Times' report, took issue with O'Reilly's claim to be a "target" of lawsuits. "Bill O'Reilly, you call out whiners as delicate snowflakes," Bloom said in a statement. "But you're the one whining now."